Multitalented artist, Leo Rossi, who wrote the screenplay for Gotti and also plays Bartholomew “Bobby” Boriello, Gotti’s enforcer, brought a unique angle to the narrative. His text was directly influenced by his conversations with John Gotti himself. By getting to know the men, Rossi knew that the movie needed to show both sides of Gotti’s life. “The screenplay that I envisioned after talking to Gotti had the Mafia element, of course, that’s a certain element to it, but, also the situation of the family. To me, to see how a life of crime in the Mafia affects the family was just as compelling as the Mafia life itself. I tried to interweave them,” he explains. Rossi knew that the core of film had to be the relationship between Gotti and his son, and the repercussions that his actions continue to have on those he loved. He flirted with other titles that spoke that complex father-son dynamic. Rossi knew that the core of film had to be the relationship between Gotti and his son, and the repercussions that his actions continue to have on those he loved. He flirted with other titles that spoke that complex father-son dynamic. “It was originally called In The Shadow Of My Father. After being around and talking with John at length, and really finding out what that life was, it could really be called The Sins Of My Father, because it effected not only the next generation, but the generation after that, because of the name John Gotti. To this day, every little thing about Gotti it sells newspapers, but there’s a family behind that, there’s a family that suffers from that,” notes Rossi. Not surprisingly, the decision to play “Bobby” also came from his time with Gotti, who believed he was perfect for that part. “After I had been with John for like three weeks, he said, “You’re like Bobby.” At that time I was so confused with all the names, I said, “Bobby is who now?” He said, “Bobby was one of my dearest friends, and he was my father’s driver, bodyguard, confidant, and then when I took over my crew, he was with me.” Unfortunately he was murdered in his own driveway, and it was very difficult for John, but he said that I was like him.” Despite initial hesitation, Leo Rossi, like John Gotti himself suggested, eventually agreed to take the part. Defined by a particular set of values, famed gangster John Joseph Gotti (John Travolta) ascended through the ranks of New York’s Italian mob with a lethal and effective blend of loyalty and ruthlessness. By becoming the head of the Gambino crime family through a bloody coup carried out in the streets of Manhattan in the 1980s, Gotti secured his place in the history books as “Teflon Don” – the protégée of underboss Aniello Dellacroce (Stacey Keach). Arching back and forth between the crucial events that shaped his illicit career during the 1970s, and the aftermath of those glory days in the 90s when illness ravaged his health, the film presents an honest portrait of a man whose path was marked by violence, ambition, and, despite it all, love for his family. A 1999 conversation between Gotti and his son, John Gotti Jr. (Spencer LoFranco) that took place in prison, serves as framework for the narrative, as the protagonist reminisces about his choices as a leader and as a father. With an avid mind for strategic planning and to manipulate the pieces of the underworld’s puzzle to his benefit, Gotti managed to transform an already successful operation run by the Gambino family into one of the most powerful criminal organizations in NY history. Racketing, drugs, loan sharking, gambling, extortion, and murder became commonplace for Gotti and his crew, thus making betrayal and any involvement with police absolutely taboo. Weaved into the intense and compelling sequence of events that led to Gotti’s rise to power, is also young Gotti Jr’s decision to leave a much safer career in the military to join the family business, as well as Gotti’s relationship with devout wife Victoria (Kelly Preston), who makes sure the home front is a stable place for the mobster to return to. 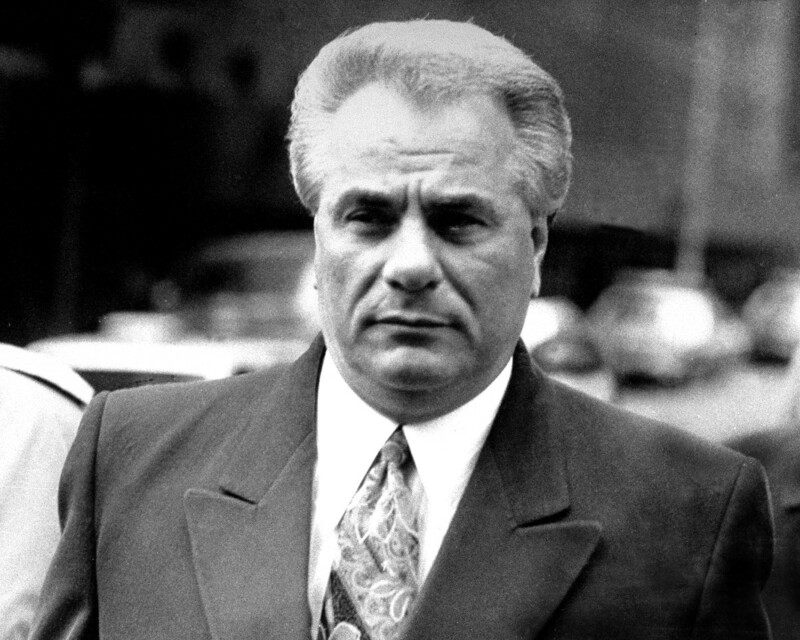 Given his prominence and gruesome antics, Gotti quickly became a highly desired suspect in the FBI investigation to derail the group’s profitable illegal activities. Unable to bring him down on several occasions, the authorities turn Gotti’s right-hand man, Sammy “The Bull” Gravano, into an informant for the prosecution. Sentenced to life in prison, and never taking a plea deal, Gotti died of throat cancer at age 61 in Federal prison in Missouri. Stacy Keach, director Kevin Connolly, John Travolta, Kelly Preston and Leo Rossi attend the photocall for “Rendezvous With John Travolta – Gotti” during the 71st annual Cannes Film Festival at Palais des Festivals on May 15, 2018 in Cannes, France. 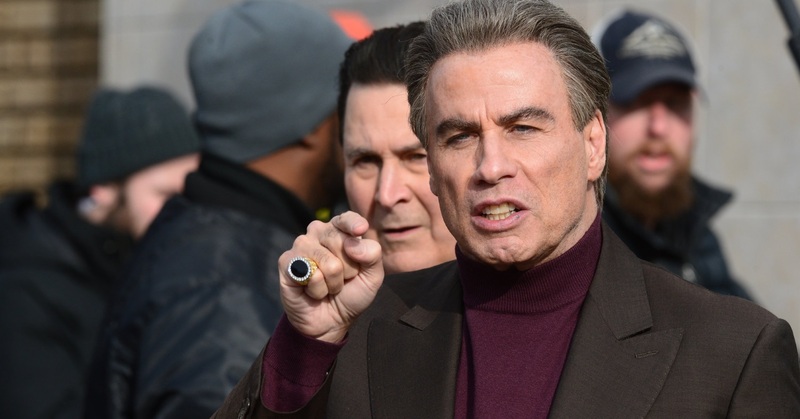 “The film explores both sides of the gangster world: the family side, with the vulnerability of that family and the depth of emotion, as well as the dark side,” says legendary star John Travolta who brings John Gotti to life in the film. The role required a full understanding of Gotti as a person, not only of his actions, but also the things that really mattered to him on a human level. The emotional core of the film is the relationship between Gotti and his son, thus the filmmakers decided to use this throughout the narrative. “The through-line of the movie is a conversation with his son, where his son is asking him permission to get out of the life, and not be a part of this anymore, because of how he deeply feels about his own family. Kelly I and were both very appreciative of John Gotti Jr. and Victoria Gotti allowing us to research their family for authenticity. John Jr. was on the set most of the time to make sure we were on target which was great. I even got the opportunity to wear the jewelry and certain pieces of clothes that were Gotti Senior’s personal effects.”, he confirms. For actor-turned-director Kevin Connolly, the prospect of being on set with someone of the caliber of John Travolta was a once in a lifetime opportunity to work with one of his cinematic heroes. “The idea of directing John Travolta as John Gotti was the first thing that jumped out at me. I was born in 1974, so to call John Travolta iconic would be an understatement. That was what first attracted me to the project. “ A big fan of the gangster movie genre, Connolly knew the actor would elevate the project on all fronts. 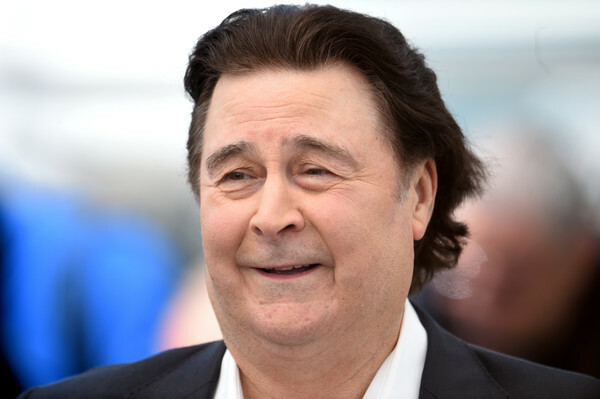 The up-and-coming director felt that he was able to experiment and allow the film to take shape organically because Travolta, the project’s beating heart, was able to adapt to his necessities. “I have my ideas of how I like to do things, but if an actor, particularly an actor with as strong and as much experience as John Travolta, has a different idea and wants to do this or that, I’m always open to actors making their own choices. I want to let them to explore their choices, and then try to readjust to make them as comfortable as I can,” Connolly adds. This helped them realize that even for those who have slipped away from the righteous path, family is everything. “It just goes to show, no matter what it is, your father’s your father, and your mother’s your mother, and there are special relationships for everybody, and it’s no different with the Gotti’s. He really looks up to his father, and his father is everything,” continues the filmmaker. Portraying someone’s father or husband is a task that the actor doesn’t take lightly, especially when Gotti’s family wholeheartedly entrusted him with their story. 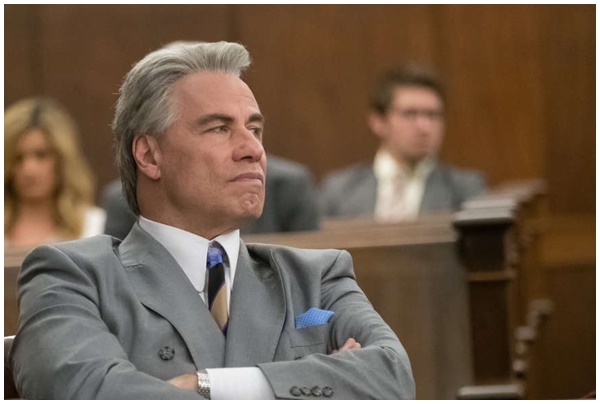 “I was one of a few actors who were approved to play this role by the Gotti family, and that had a different kind of statement to me, that they had the confidence that I could play their dad, or this character. I was enthralled by the idea that they thought I was a chosen one, let’s say, and that gave me a bit of inspiration to say, ‘Let me see what I could do with this,’ and see if I could portray it in a fashion that they would feel was accurate, and that’s a challenge,” says Travolta about taking on such responsibility. “There’s a lot of detail to this character. His style, his cadence, his behavior, his way of thinking, all of those are things that are the joy of acting, so they’re giving me a role that’s asking me a lot to do, and that’s a beautiful challenge, to take it on,” he concludes. Due his experience on the other side of the camera, Kevin Connolly was in a unique position when working with his talented cast. Being a director that also acts provides him with insight into the way actors work and their needs. According to John Travolta, the helmer knew how to balance the subtle aspects of the storyline with those that are more visceral. Connolly fully trusted Travolta’s decisions about his character and allowed him to showcase his craft. “Kevin is an actor, and he understands what an actor needs. He always said to me, ‘You haven’t misled us yet, so if you feel we need to do it that way, we’re going to do it that way.’ There’s an understanding of each other, and he trusts me, and that’s important. He admires my interpretation, and that’s very important,” adds Travolta. Their partnership throughout the production created the magic audiences will enjoy on screen.